- For the undergraduate or MBA level course of International Business where a concise paperback is desired. - Features an analytical (as opposed to a descriptive) approach to the course and is known for having practical applications. 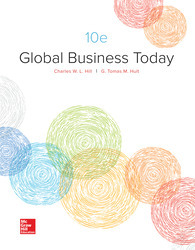 - The text is influenced by each of the author's extensive global consulting experience for Fortune 500 companies.